Green Sea Turtles are found throughout the world, primarily in tropical, and to a lesser extent, subtropical waters. The Hawaiian green turtle is genetically distinct from the other green sea turtle populations, nesting primarily in the French Frigate Shoals of the Northwestern Hawaiian Islands and feeding in the coastal areas of the main Hawaiian Islands. This species was in a steep decline as of the 1970s because of direct harvest of both turtles and eggs by humans. The population has grown steadily over the last thirty years after protection began in 1978. 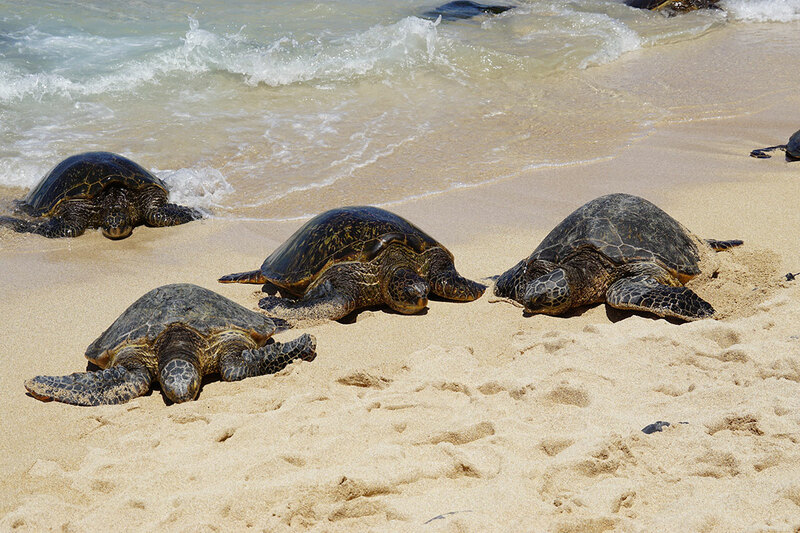 Greens are the most common species of sea turtle found in Hawaiian waters.